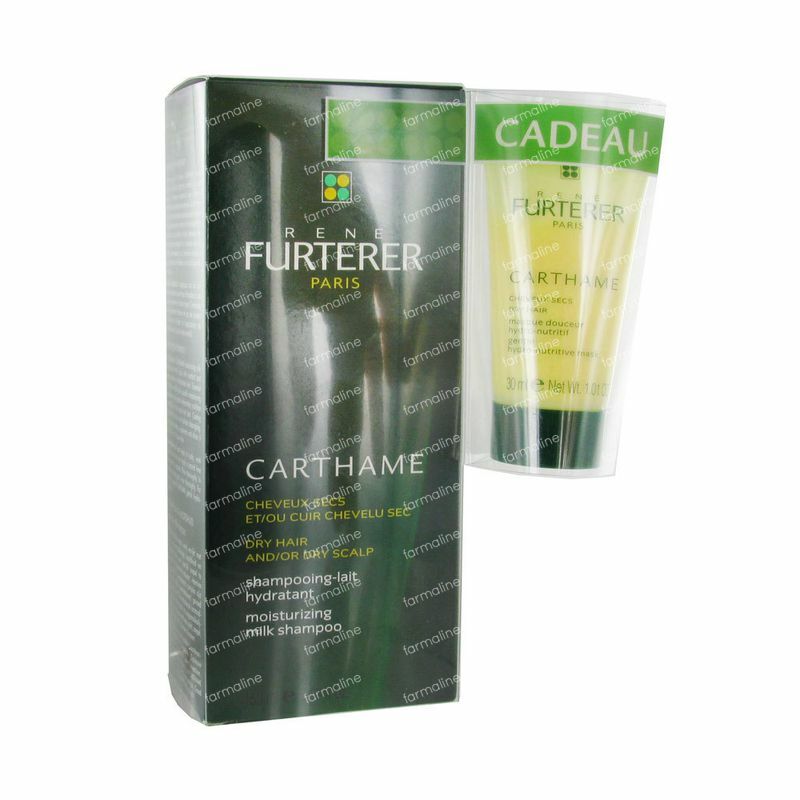 Rene Furterer Carthame Hydrating Milk Shampoo + Mask 30 ml 150 ml order online. A milk textured hydrating shampoo for dehydrated hair and scalp, non heavy feeling. Apply the shampoo onto damp hair and add some more water before you start massaging it in. Rinse out with plenty of tepid water and apply a second time, this time around leaving the shampoo to work for 3 minutes. Rinse out with plenty of clear water and style as usual. Water (Aqua), Sodium Laureth Sulfate, Cocamide MIPA, Cocamidopropyl Betaine, Propylene Glycol, Carthamus Tinctorius (Safflower) Seed Oil (Carthamus Tinctorius Oil), Citrus Aurantium Dulcis (Orange) Oil (Citrus Aurantium Dulcis Oil), Disodiume EDTA, Fragrance ( Parfum), Glycine Soja (Soybean) Oil (Glycine Soja Oil), Glycine Soja (Soybean) Sterols ( Glycine Soja Sterol), Glycol Palmitate, Glycol Stearate, Glycolipids, Guar Hydroxypropyltrimonium Chloride, Limonene, Linalool, Methylisothiazolinone, Methylparaben, Panthenol, Phenoxyethanol, Phospholipids, Propylparaben,Yellow 5 (CI 19140), Yellow 6 (CI 15985).